As I’m writing this, it’s the last day of September. Jumpers are coming out and boots are going on, but we’re still getting a few warm, sunny days here and there. This tart is for those days. 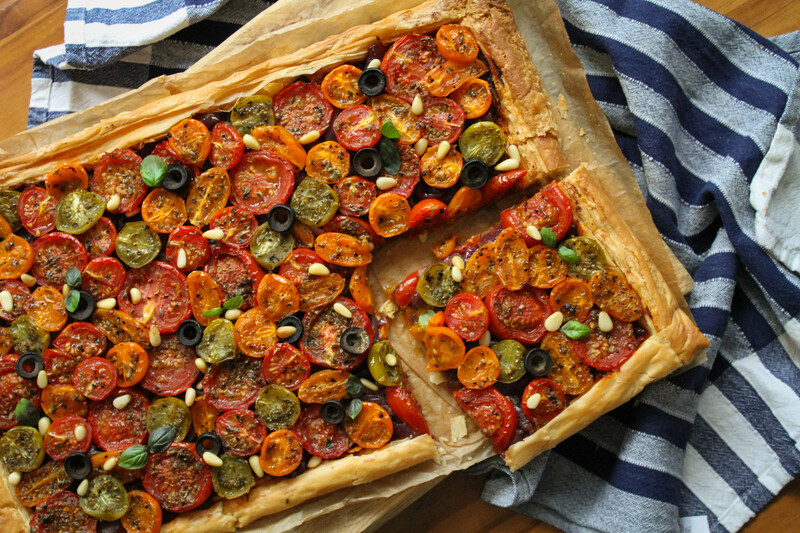 Its sweet jammy tomatoes, sticky, caramel onions, salty olives and crisp, flaky pastry marry perfectly to celebrate the last, golden days of summer and its harvest. It takes a bit of time to make but most of that time is hands-off, making it a good option for dinner parties or gatherings. Any leftovers also make an impressive packed lunch! 1. 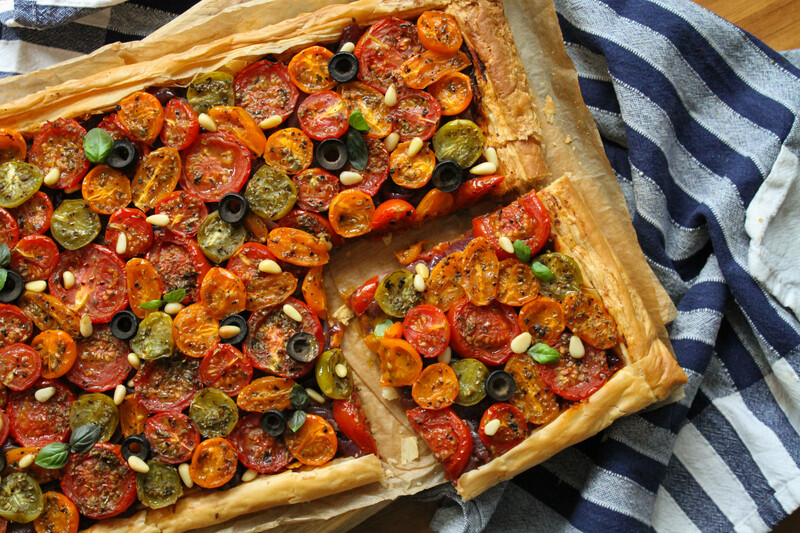 Preheat the oven to 150°C and prepare the tomatoes, halving smaller ones, and slicing any larger ones. Toss with the vinegar, oregano and a drizzle of olive oil, season, then arrange in a single layer on 2 large baking trays. Roast for 1 hour, until softened and caramelising. 2. Meanwhile, heat a splash of oil in a large saucepan over a low heat. Add the onion, sugar and a pinch of salt and cook gently for 30-40 mins, stirring occasionally, adding the garlic for the last few mins. Stir in the balsamic to taste and remove from the heat. 3. 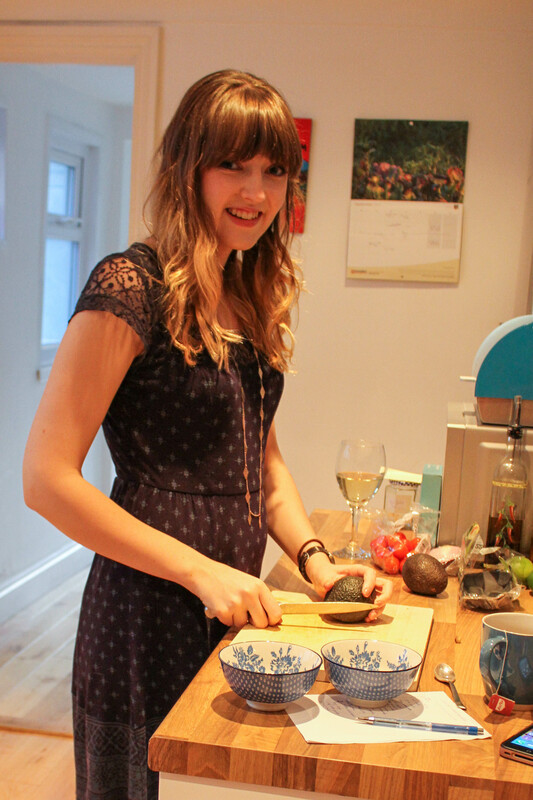 Once the tomatoes are cooked, set them aside and increase the oven temperature to 200°C. Unroll the pastry onto a large baking sheet, keeping the greaseproof paper beneath it. Lightly score a border about 2cm from the edge of the pastry and score crosses the middle of the pastry, then bake for 20 mins until puffed and golden. 4. Spread the pesto over the middle of the pastry case, pressing down the pastry where it’s puffed up, top with the balsamic onions, then arrange the roasted tomatoes and olives on top. Scatter over the pine nuts, then return to the oven for another 15 mins. Tear over the basil leaves to serve.